Steve Bannon is a lefty. It’s true. Steve Bannon, media executive, strategist and former White House chief strategist, is indeed a lefty, just not in the vein in which you are thinking. How ironic is it that someone who is so identifiable with right-wing politics is actually left-handed? 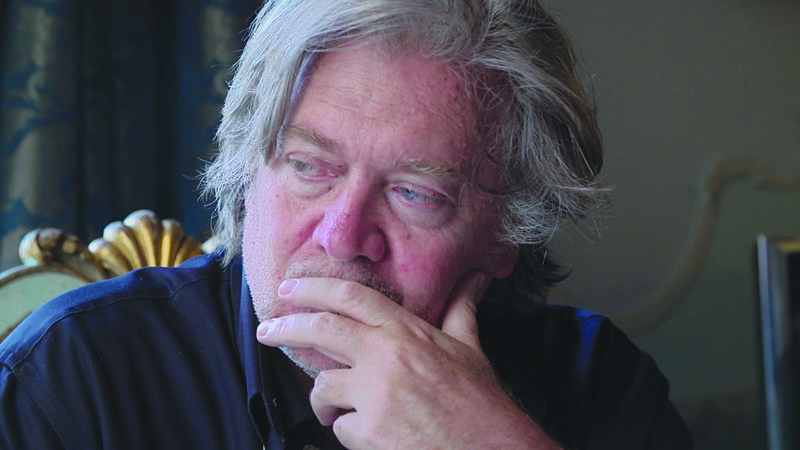 The universe does indeed have a sense of humor.A new documentary film, “The Brink,” provides a glimpse into Bannon’s character and his moral and philosophical outlook. Directed by Alison Klayman, the film begins with a short dialogue, by Bannon and an aide, discussing “Torchbearer,” a 2016 documentary he produced, wrote and directed. One of the locations visited in his film was Auschwitz, which he deemed “the most haunting place I’ve ever been in.” There is some banter about “good people in Germany…. detached themselves….” And then the thread is dropped. But to me, it sounded suspiciously like President Donald Trump’s statement about the “good people on both sides” in Charlottesville.Bannon, who was an integral part of Trump’s team, left his position as White House chief strategist less than a week after the Charlottesville “Unite the Right” rally in August 2017, and reinvented himself as leader of a global populist movement. “The Brink” takes us through this, and continues into the 2018 midterm elections. The film also contains discussions about Leni Riefenstahl. the German filmmaker who produced Nazi propaganda films. Also in the documentary is the term “globalist” which some believe is a dog-whistle anti-Semitic term. How you feel about the man probably depends on your party affiliation, so go see it and draw your own conclusions.